Clive is a versatile Management Consultant with extensive experience designing and implementing creative solutions for both people issues and business opportunities. He has excellent organisational skills and can think and communicate simply and clearly. He is a skilled facilitator, executive coach and thinking partner. Clive has worked in the UK, the Middle East, Africa and the USA and has extensive multi-cultural operational experience. Most recently he has worked as a business strategy consultant and coach in the USA and in the UK. 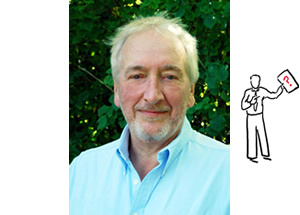 Clive’s work has been with a diverse set of businesses and individuals and includes small and medium enterprises as well as teams from large organisations. His passion is to help others realise the potential of their organisations and of themselves, both in business and in the complimentary areas that affect our ability to make a sustained impact on the world. He is a Chartered Member of the Chartered Institute of Personnel and Development in the UK and lives to the South West of London. Jeraldene Lovell-Cole studied at Holistic Life University in California where she became a certified counsellor and Holistic Educator. 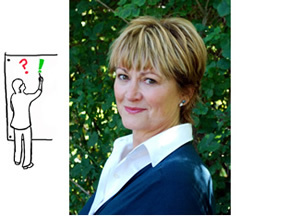 She has been a professional facilitator, counsellor, coach and teacher for the past thirty years. Jeraldene has also been an artist since childhood. Her love of drawing and painting combined with her ability to listen deeply to what people are saying, add great depth to her ability to turn words and concepts into images. Over the past three years Jeraldene has added Strategic Illustration to her repertoire of skills.The results are powerful illustrations that help her clients see, remember and authentically relate to the material they have created. Jeraldene has lived in the UK for 10 years. She loves painting, photography and country walks. For permission to use content please contact us.